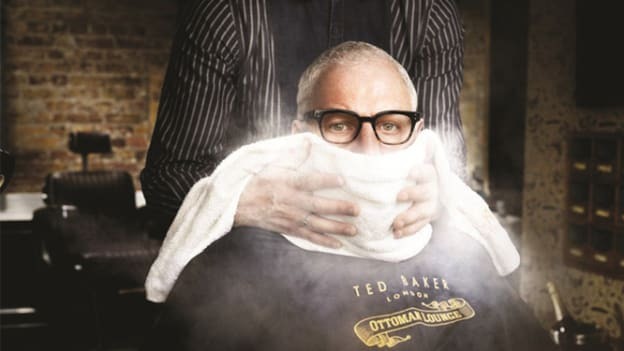 Ted Baker in December announced an independent investigation into misconduct claims against Kelvin. Acting Chief Executive Officer Lindsay Page has agreed to continue in this role. Ray Kelvin, Founder and Chief Executive Officer of British fashion retailer Ted Baker has resigned amid misconduct allegations related to his hugging of business colleagues. Kelvin took a voluntary leave of absence from his role as CEO of Ted Baker in December 2018, after allegations of misconduct were made against him. Since that date, an internal Independent Committee has been in the process of investigating those allegations. The Committee commissioned the law firm Herbert Smith Freehills LLP ("HSF") to investigate the allegations and the company's policies, procedures and handling of HR-related complaints. The board has asked David Bernstein to act as Executive Chairman to provide additional support to Lindsay. David has indicated that he will continue in this position until no later than 30th November 2020, by which time a successor will be appointed. The investigation will continue, with the primary focus of the remainder of the investigation being on Ted Baker's policies, procedures and handling of complaints. It is expected that HSF will conclude its investigation at the end of Q1 or early in Q2 2019. Commenting on the development, Executive Chairman David Bernstein said: "Ray Kelvin founded the business 32 years ago and has, together with the fantastic team around him, been the driving force behind it becoming the global brand it is today. As founder and CEO, we are grateful for his tireless energy and vision. However, in light of the allegations made against him, Ray has decided that it is in the best interests of the company for him to resign so that the business can move forward under new leadership. As a board of directors, we are committed to ensuring that that all employees feel respected and valued. We are determined to learn lessons from what has happened and from what our employees have told us and to ensure that, while the many positive and unique aspects of Ted's culture are maintained, appropriate changes are made. Sharon Baylay has agreed to act as the designated non-executive director for engagement with the Ted workforce. Led by Lindsay, we are confident that the strong and experienced team we have in place will build the Ted culture and move the business forward." In a media statement the company said, He will not be entitled to any salary or benefits payment in connection with his resignation or in respect of any period after the date of his resignation.